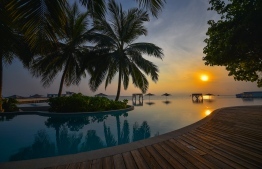 Luxury holiday destination Amilla Fushi and sister resort Finolhu have announced a diverse range experiences planned for Easter, 2019. Those looking for a whimsical Easter adventure are invited to step through the looking glass at Amilla Fushi. Led by the White Rabbit on a Wonderland Egg Hunt Carnival around the island’s enchanted forests, guests will meet the Mad Hatter, the Queen of Hearts and of course the Easter Bunny along the way. The celebrations are set to kick off with a fashion show hosted by Alice and friends at the Sultan’s Village kids club and a fun-filled 'pirate day' that is sure to leave participants grinning like the Cheshire Cat. The resort is scheduled to host kid’s yoga and fitness classes, as well as themed arts and coconut crafts sessions for guests on the island. Everton FC and Socceroos star Tim Cahill will return to Amilla Fushi to host yet another football camp, inviting children from ages five to eight and teens from nine to 16, to train on the Island's football grounds. Tennis fans can perfect their technique for the new season with fun drills and rallies with LUX Tennis’s exciting Grand Slam Tournament on the resorts two floodlit courts. At night Amilla Fushi will transform into a 'Twilight Affair Cocktail Party' followed by an exquisite Easter dinner. Fun-loving sister island Finolhu's specially curated Easter programme includes a 'Charlie and The Chocolate Factory Fashion Parade' at the resort’s famed 1OAK Beach Club, the Oompa-Loompas’ Golden Ticket Hunt, and a children’s truffle-making class led by Willy Wonka’s nemesis, the one and only Mr Turkentine. Guests may join a series of 'Stretch & Dance' lessons hosted by Willy Wonka himself, whilst specialist UFC Gym trainers are on hand with special ‘Earn That Chocolate’ fitness sessions. The fun doesn’t stop there as guests will also have the chance to tackle Augustus Gloop on the football pitch or take a dip at the resort’s daily retro pool party.